You may have heard that it's risky to get pregnant a few months after a miscarriage—but new research suggests that it's safe to start trying to conceive right away. 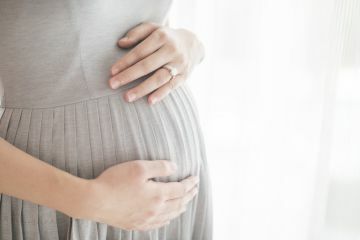 If you've miscarried, you might be anxious to conceive again in the hopes of getting your rainbow baby—and this news might encourage you to try again sooner. While an older study and the current guidelines from the World Health Organization indicate that waiting six months before conceiving after a miscarriage reduced risks to the baby and the mother, there's newer research that contradicts that line of thinking. Researchers from the University of Aberdeen looked at several previously published studies and found no risk associated with conceiving within a short interpregnancy interval following miscarriage—and that there may actually be fewer risks associated with getting pregnant shortly after a miscarriage, including reduced risk of another miscarriage or premature birth. The researchers looked at data involving women who have had at least one miscarriage, and they compared outcomes from women who had shorter interpregnancy intervals to those who waited longer before getting pregnant again. According to their findings, risk of subsequent miscarriage, preterm birth, stillbirth and low birthweight were lower among the women who got pregnant shortly after their miscarriages. There will need to be more research to really understand pregnancy after miscarriage. Our advice? If you've miscarried, speak with your doctor to determine the best course of action for you.